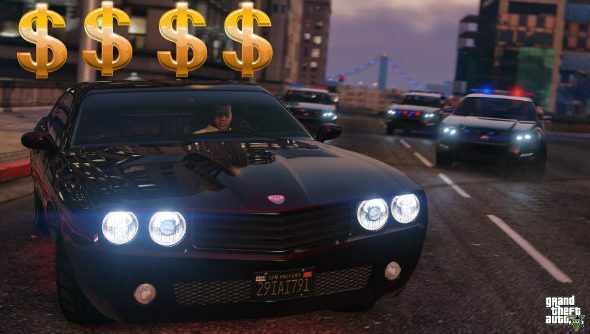 Former lead producer on Rockstar’s Grand Theft Auto series, Leslie Benzies, is currently suing Take-Two Interactive for $150 million in unpaid royalties, and the released court documents have been peeling back the curtain on the usually secretive company. Benzies helped create some of Rockstar’s best sandbox games. If you want the full details on the lawsuit, which Rockstar have since countered, you can read our originalpost on the whole controversy. There’s lots of juicy information in the full court document, but of particular interest is page four, article thirteen, which reveals that GTA 5 has generated around $3 billion in sales. Comparatively, GTA 3 made $25 million, as did Vice City and GTA 4, with San Andreas sitting just ahead of them with $30 million. That’s a fair bit less than $3 billion. You only have to look at the lack of single-player DLC and the focus of Rockstar’s YouTube channel to make an educated guess where this extra revenue came from, which could also hint at the direction the company will take in the future. Money talks, after all.